Learn how to fix 3S USB flash drives that have SSS6677.Download 3S USB flash sorting and mass production utility ver 3.013 UltraNet .Update 3S6677 firmware and update your flash disk . SSS6677 USB OnCardSorting Ver 3.007 has been designed to format and update 3S6677 chip controller .3S6677 umptool v3.013 can make low level format for solid state system 6677 controller .3S6677 firmware tool can fix 3S format errors such as write protection and unrecognized flash problem and other format problems . 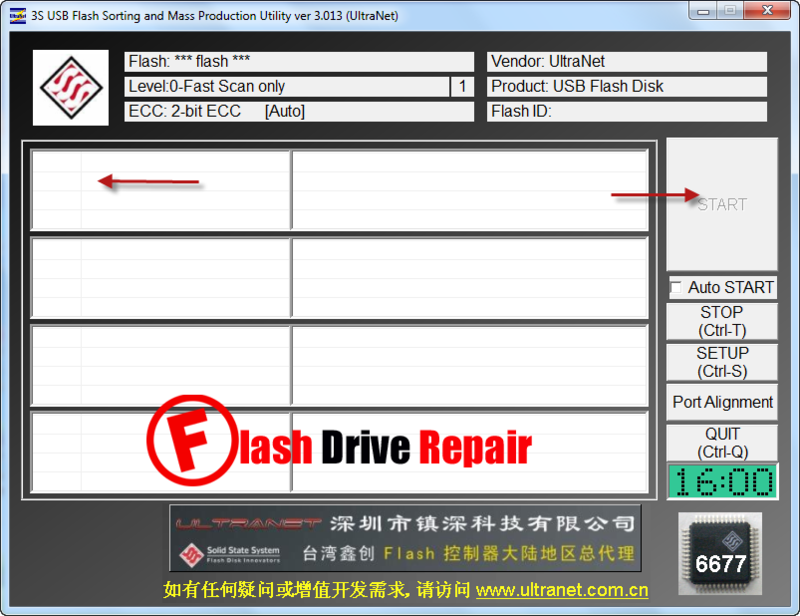 SSS6677 USB OnCardSorting Ver 3.007 support repairing SSS6677 controller so please don't use it with other chip controller .You must determine flash drive chip vendor first , you can use Chipgenius software or USBDeview V2.30 utility . How to repair SSS6677 USB flash disk ? Download SSS6677 USB OnCardSorting Ver 3.007.rar from download links below . Insert corrupted USB flash disk to your Computer . Extract SSS6677 USB OnCardSorting Ver 3.007.rar and open FlashSort_MP_V3013.exe . 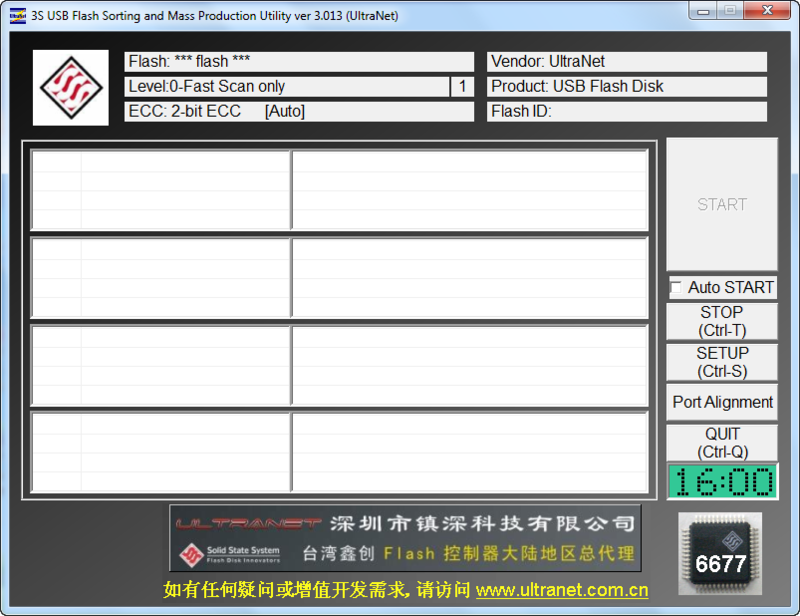 If your flash controller supported by this software ,you will see flash information on the program interface . Click Start to begin updating SSS6677 flash firmware . Hi, which firmware compatible for TC58NC6623/SSS6698-BA chip? Flash ID code: 98DE9493 - Toshiba TH58TEG7CDJBA4C - 2CE/Single Channel [MLC-16K] -> Total Capacity = 16GB "